Note: Todays workout operates like “Fight Gone Bad” in which the Athlete achieves maximum repetitions at each station, then rotates at the end of the minute immediately to the next station. There is no rest between stations. At the end of each round, rest 1:00 and tally scores, then repeat for a total of 3 rounds. Athletes can pick their start station, but must honor the order of rotation. Maintain a total running score for each round. The Assault Bike RPM counts as 20 points. Coach will be running all classes today, and each workout will conclude with a brief period of pranayama (breathing) and meditation. Be sure to wear your CAMP Belt! Compares todays score to November 28, 2018. 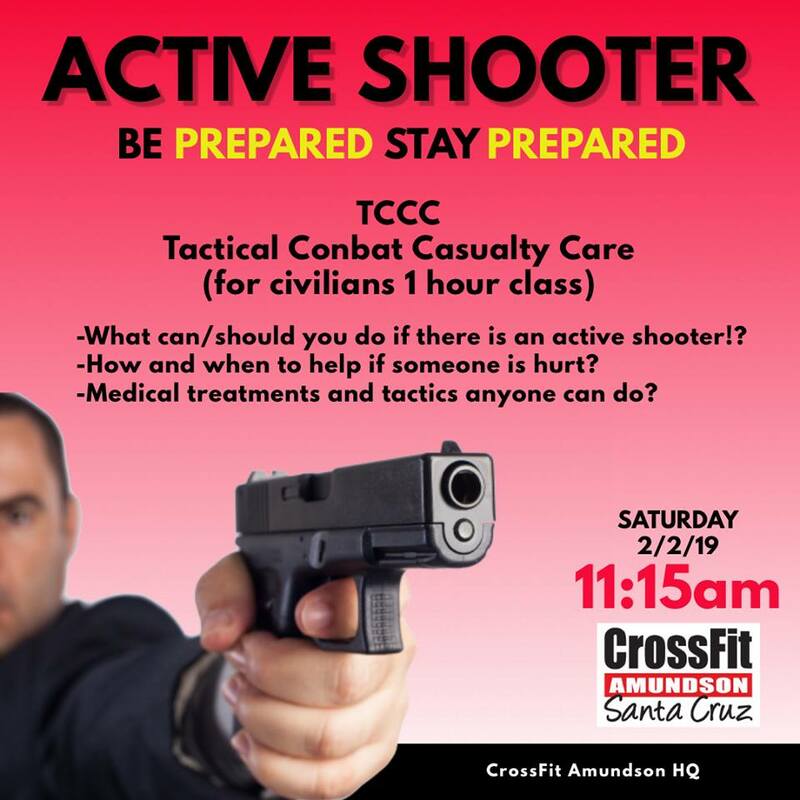 Join us on Saturday from 11:15PM to 12PM at HQ for a FREE class on how to “Be Prepared and Stay Prepared” for an active shooter incident.